SLIMLINE CO-PILOT CONSOLE AVAILABLE WITH NEW FEATURES THAT ARE FUNCTIONAL AND ATTRACTIVE, AND CONSTRUCTION THAT IS ROBUST AND DURABLE. 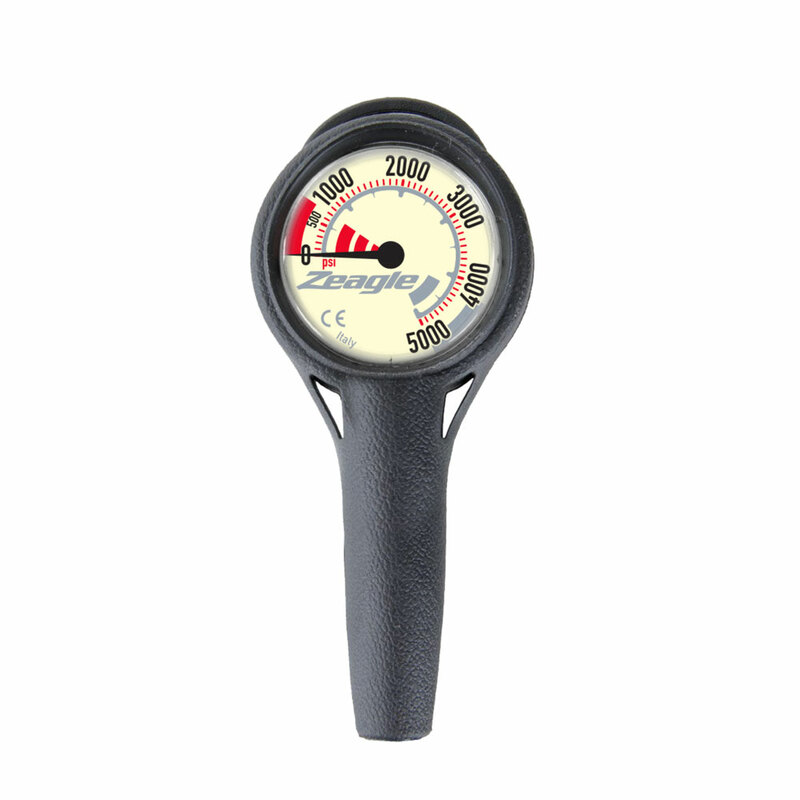 Zeagle gauges offer custom dial graphics that are large, easy to read and luminescent for greater visibility in low light. The ergonomic styling offers a low and compact profile and a one-piece brass body means it's shock-resistant and durable enough to survive your most radical underwater adventures. Perfect as a redundant air monitoring instrument. The short hose is 11in / 28cm in length, making this SPG perfect for pony, deco, or sidemount tank configurations. Also available with a standard length hose, two, or three gauge Slimline Co-pilot console. Imperial and Metric. The short hose is 11in / 28cm in length, making this SPG perfect for pony, deco, or sidemount tank configurations. 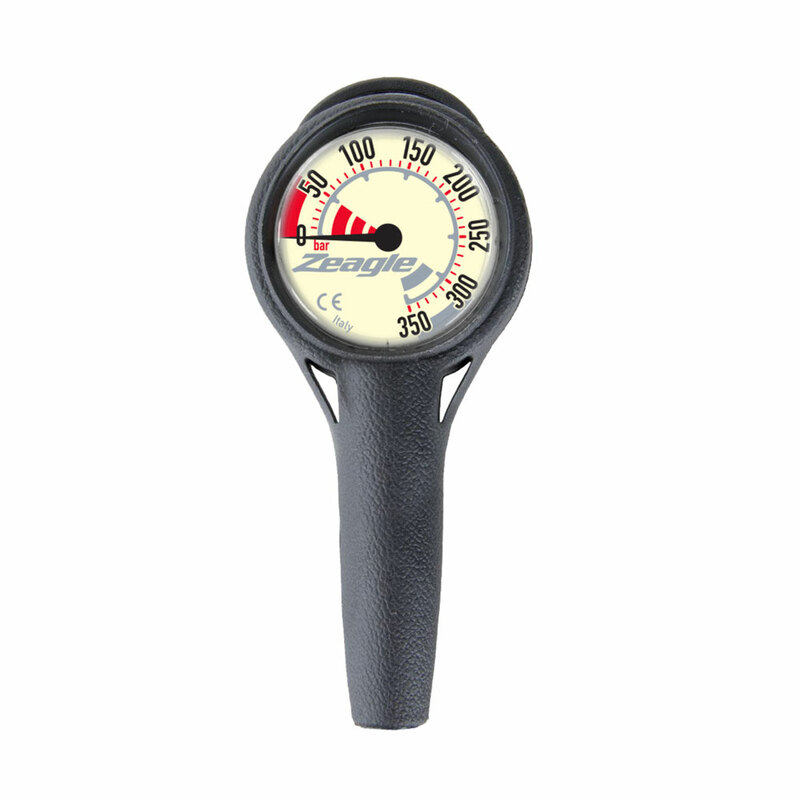 Also available with a standard length hose, two, or three gauge Slimline Co-pilot console. Imperial and Metric.